Cape Pincushion: Pinwheel quilt finished at last! 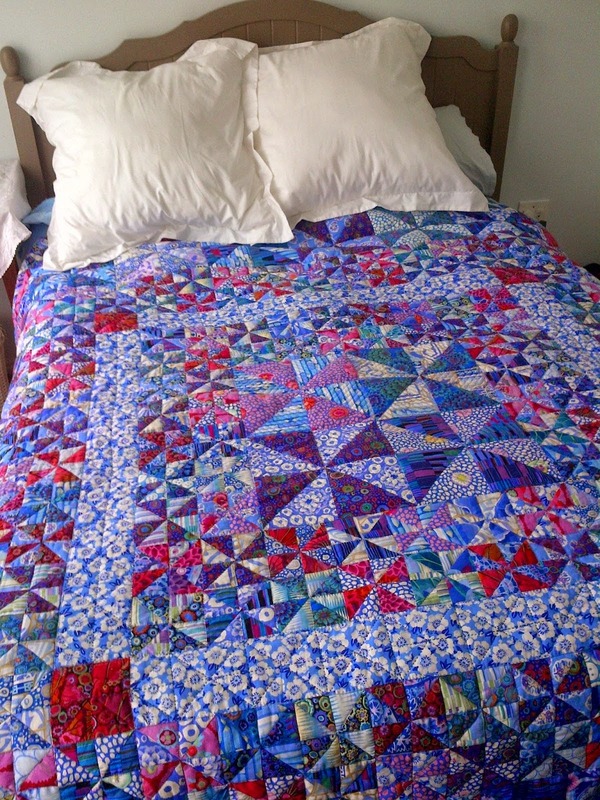 Pinwheel quilt finished at last! I finished quilting and binding my water-lilies pinwheel quilt this week! It took almost 2 years for me to finish this quilt. I hand-quilted the centre of the quilt and the outer border I machine quilted. It is the first one of my quilts that I have quilted myself. The finished quilt is 83" x 83". 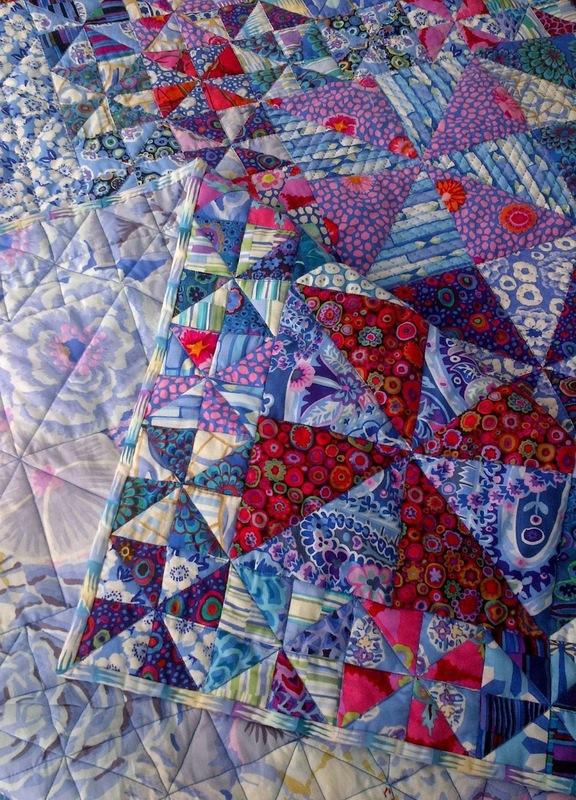 I used a Kaffe Fassett print, bekah in blue, for the back of the quilt. I used another Kaffe Fasset print, mirage stripe in blue, for the binding. 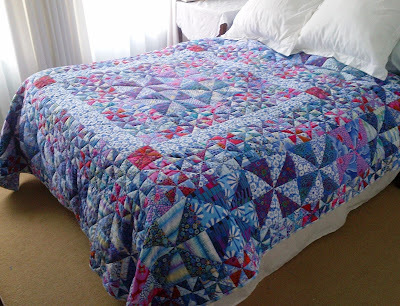 Here is another shot of the quilt on our bed. 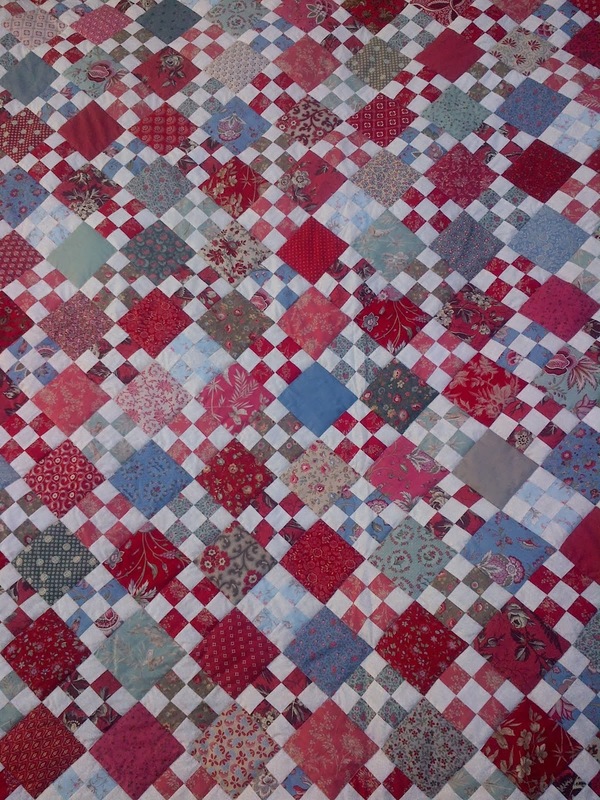 Unfortunately it has been raining so I can't take a photo of the whole quilt outside. 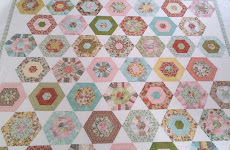 Here is the link to the whole finished quilt top. It feels good to get such a big project finished! Yay! Congratulations to finished your stunning quilt. I don't think two years is very long, especially since it's a huge quilt. What comes next? This quilt is outstanding! 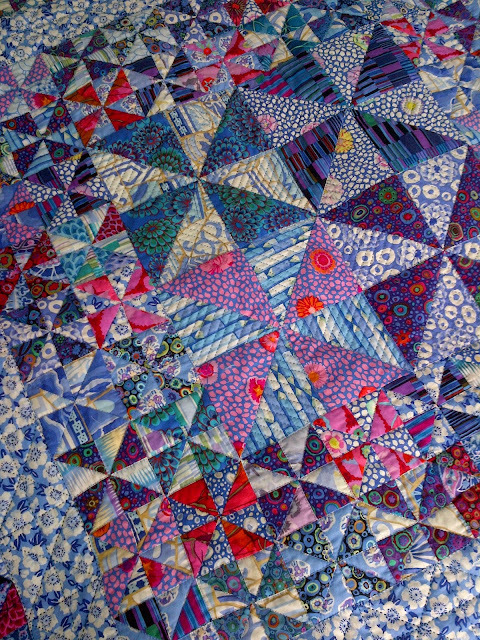 Of course nothing makes me happier than lots of triangles in a quilt! What a beautiful quilt! It makes the bed look so inviting - warm and cozy for the whole family to flop on! Congratulations on a gorgeous finish! How wonderful to have a quilt completely made by you. Yea!!! Can you hear me clapping and squealing? It's just beautiful. I'm sure you'll have many sweet dreams under it. The colors and the pinwheels are exceptional! You see movement all over this quilt, it was worth the time it took to finish. I like your choice of the blue floral for your border/sash, it adds so much to the overall flow. It is beautiful, definitely a favorite! 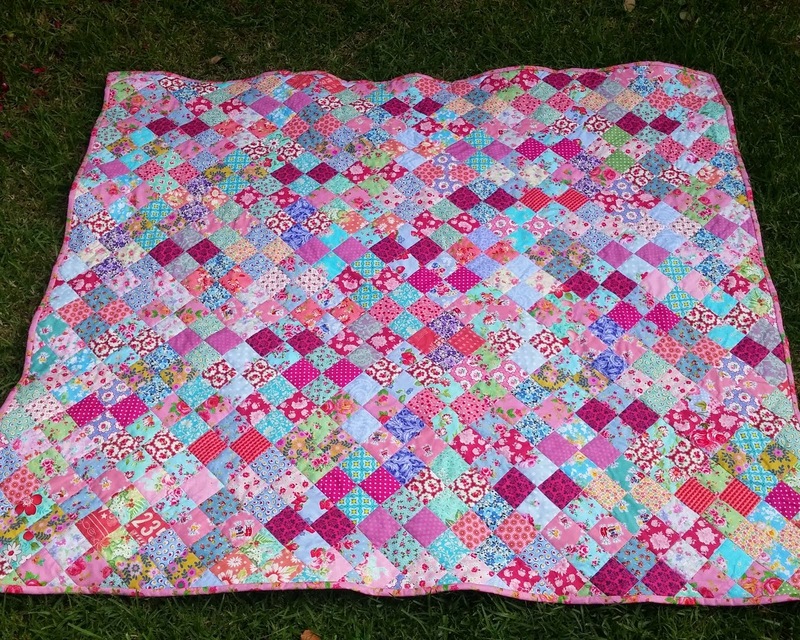 Congratulations on finishing such a beautiful quilt!! It looks perfect on your bed. What a wonderful quilt! As is your baby quilt, lovely! 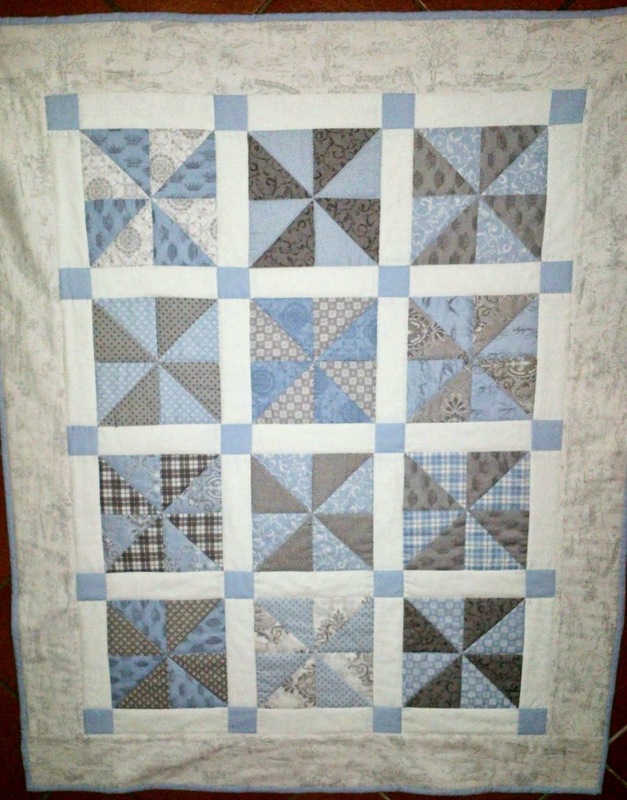 Love your beautiful Pinwheel quilt!What a nice job you did!! 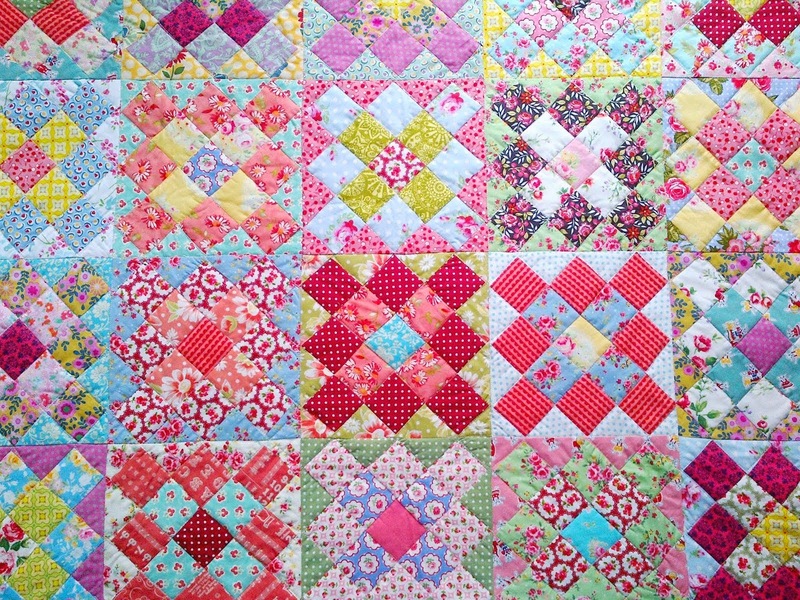 Wish you a Happy New Quilt Year!